One of the keys to a smooth wedding day is a realistic timeline. But knowing how long to leave for speeches, photographs and all the other bits and pieces can make creating a timeline a bit tricky. I’ve talked before about how I was horrendously late on my wedding day and put the whole day out nearly an hour, meaning I’m not the best person to give advice on timelines! 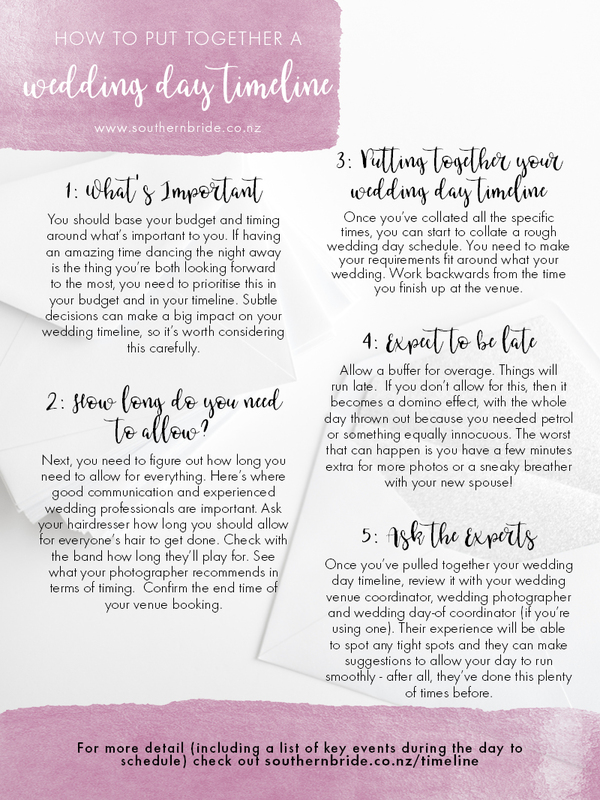 So for today’s post, I have hit up Leah from Encore Events for some advice, as she is the perfect person to give some tips on scheduling your wedding day. 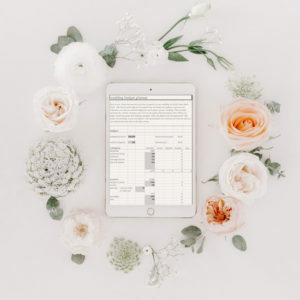 If you have a wedding day timeline for everyone to follow, your bridal party and wedding professionals know what’s happening – less hassling you while you’re trying to relax and enjoy the day. 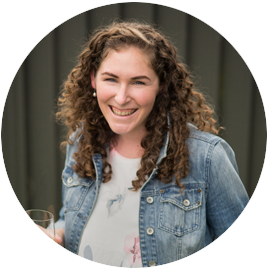 Leah recommends planning everything out as it means you will utilise every vendor to the fullest (rather than having the photographer sitting round waiting for you to finish up at the hairdressers in town, or the band sitting on stage waiting for speeches to wind up). Step 1: What’s important for your wedding day? You should base your budget and timing around what’s important to you. If having an amazing time dancing the night away is the thing you’re both looking forward to the most, you need to prioritise this in your budget and in your timeline. Subtle decisions can make a big impact on your wedding timeline, so it’s worth considering this carefully. Step 2: How long do you need to allow for wedding day preparations? Next, you need to figure out how long you need to allow for everything. Here’s where good communication and experienced wedding professionals are important. Ask your hairdresser how long you should allow for everyone’s hair to get done. Check with the band how long they’ll play for. See what your photographer recommends in terms of timing. Confirm the end time of your venue booking. Once you’ve collated all the specific times, you can start to collate a rough wedding day schedule. You need to make your requirements fit around what your wedding. Work backwards from the time you finish up at the venue. How long does your band play for? For example, if it’s 4 hours, and the venue shuts down at 12, then the band needs to start at 8. If you run an hour late and they don’t begin till 9, that’s an hour you’ve paid for wasted. You can have speeches after dinner, between courses, or even during the meal. Having them during the meal can be a good timesaver, just be sure to let people know to keep eating, and tell venue staff to continue serving and clearing away plates. A good MC should push along speeches and keep them to time. Also another tip – the more toasts, the more alcohol. Leah suggests asking speechmakers to leave toasts till the end of the speeches to keep the bubbly consumption to a minimum. The MC could also tell guests to stay seated during toasts, which gets through the whole process – stand up – toast – sit down – continue speech routine which can eat into the reception timing. The type of meal service you pick will affect the time you need to allow for your meal. A buffet will take 20 minutes for 100 guests to go through – for bigger weddings it might be best to get two buffet stations so that everyone is served in a timely manner. Family-style buffet (where dishes and bowls are served to the table) will take around 20 minutes to deliver to the tables. Plated meals are timed to be around 45 minutes apart, and serving is much faster, but this can be a more expensive option as you’ll require extra serving staff. If you’re going to be short on time and have not done nibbles during the afternoon, you could plan to have breads or platters at the tables for when the guests arrive. Your photos are often the thing that gets trimmed if you’re running late earlier in the day, so it pays to be organised here. Have a list of photos you’d like, and if your photographer isn’t familiar with the venue or general area, suggest going on a scouting day around the venue and local area, so you can both figure out how long it’ll take to get between photo spots, and you can make decisions about the photos you want. It’s a lot more time-efficient if you are decisive about what you want, rather than an endless back and forth of “I don’t know, what do you think?”. If you guests are close at hand, allow 15 minutes for the group shot of all your guests. Posed family photos should take 2-3 minutes per shot. If your nearest and dearest decide to wander off for a beer or you are deciding on the fly who should be in the photographs, it’s going to take a lot longer. Talk this through with your photographer well in advance, and have a trusted friend who can wrangle your families so you’re not waiting round on relatives. Receiving lines are typical with church weddings, but they are also popular at more relaxed garden ceremonies also – it depends on what the couple would like, and how the venue is set up too sometimes. A receiving line with up to 100 guests will take about 15 minutes to get through, and for weddings around 150 guests, allow 20 minutes. Expect the groom and groomsmen to get to the ceremony location 30 to 45 minutes before the ceremony, but double check with the celebrant, and with the venue (depending on the beginning time for the venue booking – you may only have 30 minutes before the official kick off time). 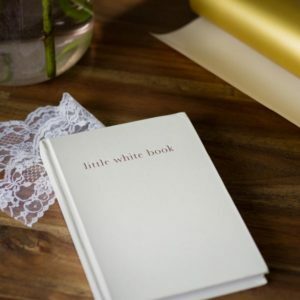 Your celebrant should be able to give you an estimate of how long the ceremony you’ve chosen will take – it’s usually about 30 minutes, or up to an hour for a traditional church service. Also, let’s face it – it’s tradition for the ceremony to begin late, so plan for it and have your timeline start on the right foot. It can take an hour for your hair and that again for your makeup. Check with your make up artist and hair stylist what they think, and see if they’ll arrange extra staff if you have a larger wedding party and/or an earlier ceremony time than usual. Depending on the photography coverage you’ve chosen, you might have your photographer turning up at the tail end of your beauty prep to document the last minute touches and getting into your dress. Talk to them about when they want to turn up. If you’re running late, see if they’ll take detail shots while they wait – things like your wedding jewellery and shoes, wedding invitation, a pic of your wedding dress hanging up are all lovely shots to reflect on the details of your day in the future. Allow a buffer for overage. Things will run late. If you don’t allow for this, then it becomes a domino effect, with the whole day thrown out because you needed petrol or something equally innocuous. The worst that can happen is you have a few minutes extra for more photos or a sneaky breather with your new spouse! 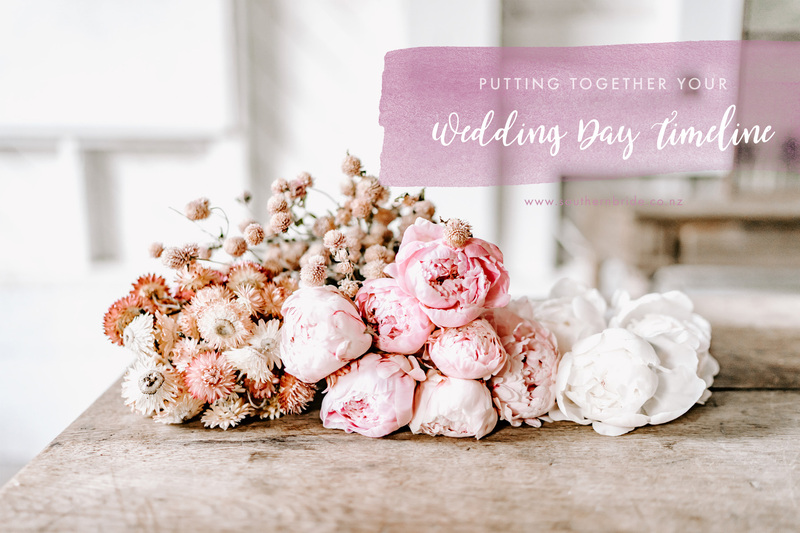 Once you’ve pulled together your wedding day timeline, review it with your wedding venue coordinator, wedding photographer and wedding day-of coordinator (if you’re using one). Their experience will be able to spot any tight spots and they can make suggestions to allow your day to run smoothly – after all, they’ve done this plenty of times before. 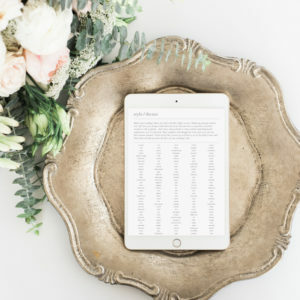 Ready to plan your wedding day schedule? All laid out like this it probably is looking quite overwhelming, but if you take things step by step and work methodically through the day, it should all fall into place. And remember, you have help in the form of your venue coordinator, your wedding photographer, and all the other important professionals you’ve picked for your day. If you have a day-of coordinator (like Leah from Encore Events) they’ll be looking after the timeline and do the work for you. You can work with them to plan out what’s happening if you need help to put it together. Great list … and agree, having a plan so everyone knows what is expected and what they should be doing is really important! What a great list for anyone getting married – I don’t think anyone can be over prepared and ready on such a big day. Thanks Mariana 🙂 Yes, better to overplan than be underprepared – too stressful! Great advice for anyone trying to do their timeline without a wedding planner!